Located in the heart of Bangkok, Shadi Home & Residence offers comfortable rooms with air conditioning and the convenience of an on-site restaurant and free parking. Free Wi-Fi is available throughout the residence. Shadi Home & Residence is a 5-minute walk from Pratunam shopping area, Phayathai BTS Station and Ratchaprarop Airport Rail Link Station. Pantip Plaza IT Mall and MBK Shopping Mall are a 5-minute ride away. 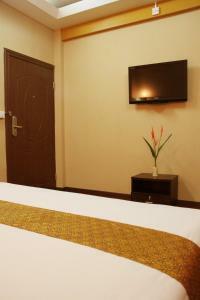 All rooms offer a seating area, a flat-screen cable TV and a safety box. 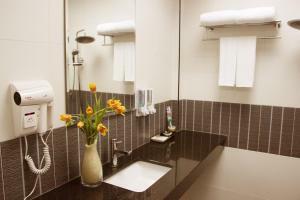 En suite bathrooms come with shower facilities and a hairdryer. With a 24-hour reception, additional services available include fax/photocopying, laundry and dry cleaning. Guests can make use of meeting facilities as well. The on-site restaurant serves a variety of Thai, Indian, Iranian and European cuisines. Payment before arrival via bank transfer is required. The property will contact you after you book to provide instructions. Please inform Shadi Home & Residence in advance of your expected arrival time. You can use the Special Requests box when booking, or contact the property directly with the contact details provided in your confirmation. 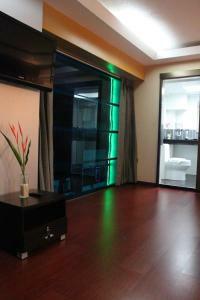 Air-conditioned room offers a seating area, a fridge and a flat-screen cable TV. A hairdryer and shower facilities are in an en suite bathroom. 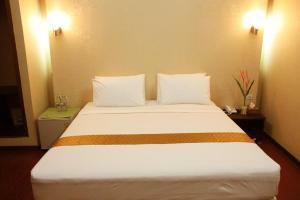 Rate: THB 1200.00 ... THB 1800.00; select dates below to get current rates. 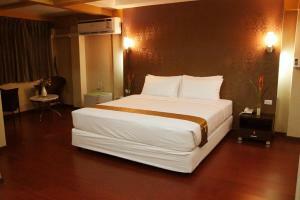 Larger air-conditioned room offers a seating area, a fridge and a flat-screen cable TV. A hairdryer and shower facilities are in an en suite bathroom. 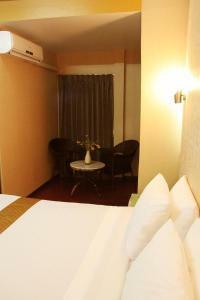 This triple room features a seating area, air conditioning and satellite TV.